Ivy’s magic is more powerful than any other Royal’s, but she needs a battle partner who can help her harness it. Prince Zach’s unparalleled skill with a sword should make them an unstoppable pair—if only they could agree on... well, just about anything. Rating from me the adult: 3 Stars. Adult assuming how a young adult would rate: 5 Stars. 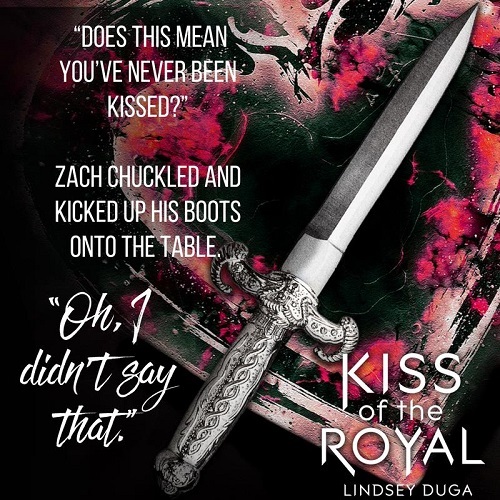 Kiss the Royal is the debut novel by Lindsey Duga. Solid start, but lacking slightly in execution that comes with writing experience. It was refreshing to read a fantasy title that was a standalone, not a trilogy or long-standing series. Knowing there was to be a conclusion, it was easy to fall into the story without fearing a long-term commitment while waiting for subsequent installments. To be honest, I struggled to get into the novel at the beginning, with the way the world-building was unveiled, while trying to connect to the characters. It's as if it wasn't thoroughly plotted out ahead of time, but done so by the seat of the author's pants, so information just appeared when it would offer additional conflict but at the confusion of the reader. I was intrigued with the fantasy world-building, where a kiss from a princess to her prince offers protection and healing on the battlefield. For those who don't believe in love, kissing has a purpose, not an expression of affection, whereas the Romanticas see kissing as we do today. If Ivy hadn't shown she had a purpose, she would have been forced to be bred by as many royals as possible, to create a larger royal army (this plot point is slightly disturbing for younger readers). This was a unique fairytale type premise that intrigued me, kept me reading until the end, even though I felt it a bit too long and meandering at times. The adult in me got stuck on the little things, overthinking the plot points. As a writer/editor, I will admit I have great difficulties falling into a story due overthinking. This is why I gave the book a high rating from the young adult mindset, as they won't suffer from my predilection to dissect a plot down to its foundation. The majority of readers won't see the structure of a novel the way I do. Biggest issues for me when speaking of the bloodlines... the first two or three generations would have had children with their siblings, then cousins, until generations later it would be far-removed, yet keeping the bloodline pure. Yet, generation after generation later, Princess Ivy was stronger because she was a direct descendant of Myriana... but weren't all the royals direct descendants? To be a royal was to be a direct descendant, that was what the world-building backstory taught readers. All the royals are direct descendants of Myriana, so how is Ivy more powerful than the rest of the royals (her relatives)? Younger readers and those able to fall into a story without tripping on plot points, they'll go with the flow, enjoying the push-pull, nearly argumentative banter between Ivy and Zach, the fantasy world-building, and the action surrounding the Evil Queen's nefarious deeds. Ivy was a strong heroine and a good role model for younger readers. Headstrong, Princess Ivy will stop at nothing to protect her people, to the point of self-sacrifice. With that being said, she needed help along the way. Zach was the brooding, swoon-inducing hero that always graces the pages of young adult novels. No doubt Zach will become a fan-favorite. Ivy and Zach bashed heads a bunch, their belief systems not similar – Kissing vs kissing (see above). Zach came off as being judgmental at times, and the pair spent a great deal arguing. What some may find as feisty, a type of foreplay, I found it as frustrating with their lack of communication skills and understanding. The romance is definitely a focal point. Kudos on the debut novel, and I look forward to reading what the author writes next. Recommended to younger readers who enjoy fantasy novels, strong heroines, and swoon-worthy heroes. Young Adult age-range: 12+ includes kissing (see the premise) and fantasy-esque violence. Lindsey Duga developed a deep love for courageous heroes, dastardly villains, and enchanting worlds from the cartoon shows, books, and graphic novels she read as a kid. Drawing inspiration from these fantastical works of fiction, she wrote her first novel in college while she was getting her bachelor’s in Mass Communication from Louisiana State University. By day, Lindsey is an account manager at a digital marketing agency based in Baton Rouge, Louisiana. By night, and the wee hours of the morning, she writes both middle grade and young adult. She has a weakness for magic, anything classical, all kinds of mythology, and falls in love with tragic heroes. Other than writing and cuddling with her morkie puppy, Delphi, Lindsey loves catching up on the latest superhero TV show, practicing yoga, and listening (and belting) to her favorite music artists and show tunes. 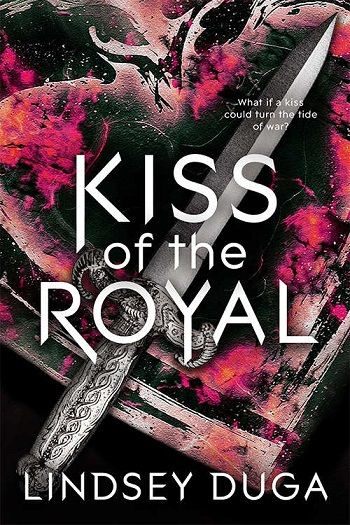 Kiss of the Royal is her YA debut novel. 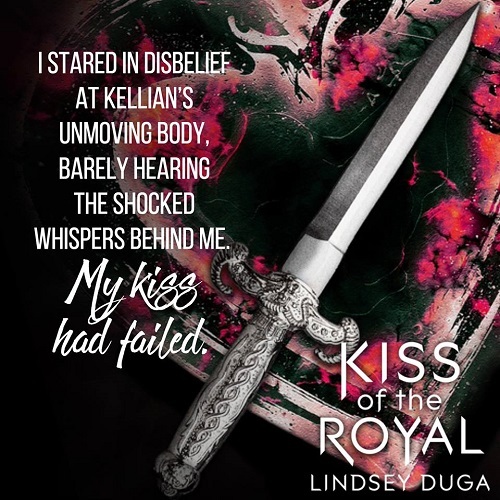 Reviewers on the Wicked Reads Review Team were provided a free copy of Kiss of the Royal by Lindsey Duga to read and review.